The story of businessman Alexander Granovsky, who has been indicted for stealing tens of millions of dollars from the public pyramid holding group BGI, shows how unbearably easy it is for a crafty financier to milk millions from Israeli shareholders, and how unlikely it is that he will be extradited to Israel. On Thursday, two of Granovsky’s emissaries who were not quick enough to flee, were convicted in the affair: Yosef Shneorson and Gregory Gurtovoy. The former was sentenced to three years in prison and the latter to 31 months. 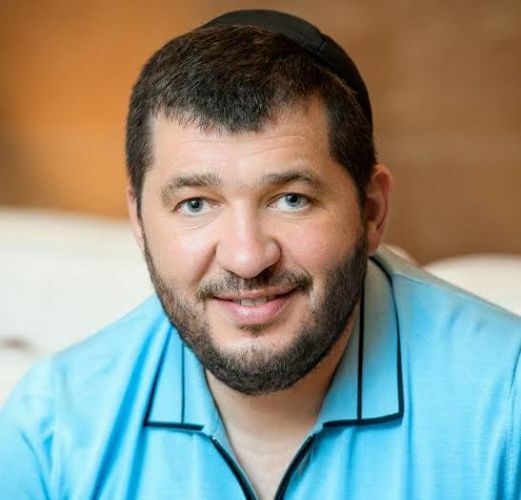 In 2018, Judge Khaled Kabub signed a habeus corpus order against Granovsky, who failed to appear for trial and remained in Ukraine. The order was the first phase in the extradition request that Israel made to the Ukrainian government through the international affairs department in the State Prosecutor’s Office. Granovsky, who had been a frequent visitor to Israel until 2015, has stopped coming since then, and of course he knows why. Like many others suspected of economic crimes in Israel, Granovsky knows that a three-hour flight to Kiev (or many other destinations in Eastern Europe) can keep law enforcement from reaching him for years, and perhaps forever. Ukraine, like many other countries, does not extradite its citizens. In fact, protecting Ukrainian citizens from extradition is considered a basic right of all citizens, protected in the country’s constitution. For that reason, the prosecution does not expect to see Granovsky in a Tel Aviv courtroom any time soon. On the other hand, Ukraine is a signatory of international conventions that require it to provide an alternative to an extradition request, such as trying the suspect in Ukraine. That would depend on a long procedure and would follow Ukrainian law. A trial in Ukraine for the complicated economic crimes of which Granovksy is suspected is an enormous challenge. It means translating documents, presenting expert opinions on the law in Israel, in short — a huge investment of resources by law enforcement in Israel and Ukraine. This is unlikely to happen, but if it does, the process could easily take a decade. Until Ukrainian courts take action, the main impact on Granovsky’s life resulting from the allegation of his sophisticated theft would be restricting his departure from Ukraine. Israel could issue an international arrest order to Interpol, and may have already done so. In that scnario, if Granovksy would land in one of 190 countries that are members of Interpol, he would be arrested at the airport. But unless he has plans to fly to Barbados for winter vacation, Granovsky doesn’t have to worry too much over the implications of allegedly stealing millions of dollars from the public. This is also true of another well-known suspect, Lev Leviev, who is now in Russia, and allegedly methodically smuggled diamonds worth millions of dollars to Israel. Russia doesn’t tend to extradite its citizens either, not to mention such a well-connected citizen as Leviev. In any case, extradition would only come after indictment, and in Leviev’s case, the state has hardly even moved to call the suspect in for questioning.